Proving legal right to stay here is no easy task for both Dominicans and Haitians born in shacks and lacking documents. Avenida Duarte in the Dominican capital is a busy bustling commercial street where hundreds of vendors – both Dominican and Haitian – normally clog the sidewalks selling everything from clothes to hot dogs. On Friday, however, a day after the window for undocumented migrants to apply for residency permits closed, the only salesmen and women working were Dominicans. 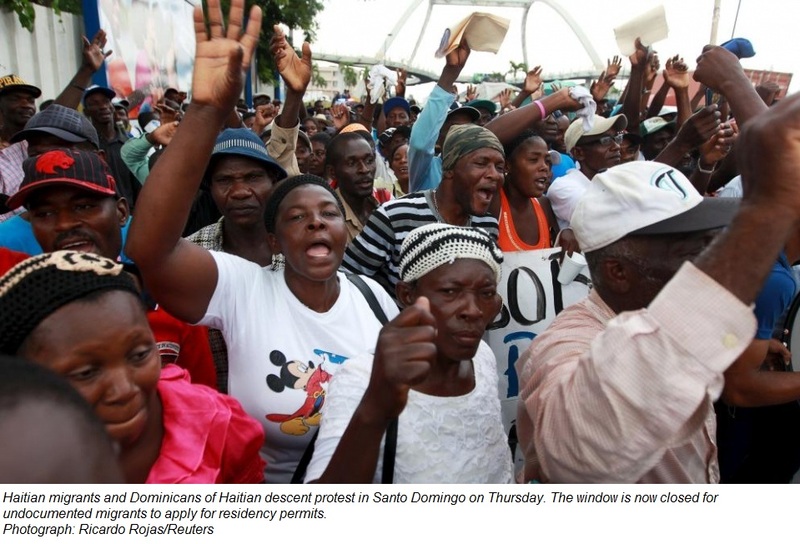 This week saw the final deadline for the Dominican government’s “regularization plan” for residents of the country without documents – most of whom are Haitian or Dominicans of Haitian descent. 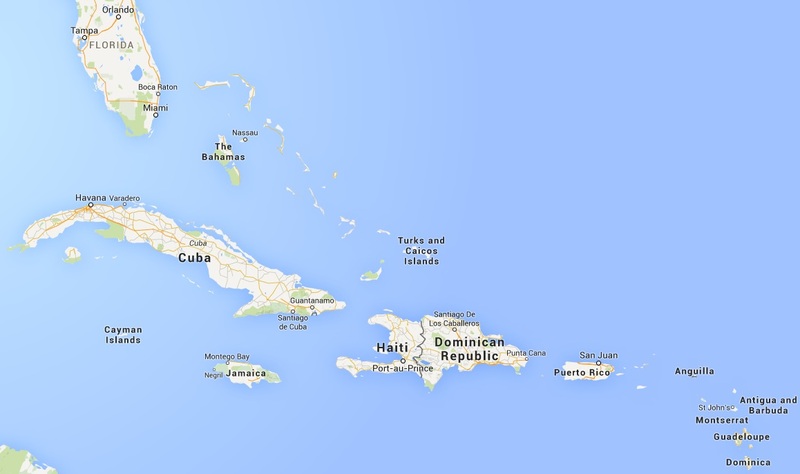 Dominican authorities are now prepared to deport those who did not register. Daniel, 33, a Haitian immigrant, usually sets up his water and soft drinks stall on Duarte early. But he’s too afraid to be seen there now after being unable to register. Others, who like Daniel, were unable to register because of bureaucratic delays, have decided not to wait for the police or military to round them up and repatriate them forcibly, with reports of buses filled with Haitians heading toward the border. “We know of many people who’ve decided to leave already,” says Ana Geraldo, a lawyer at Centro Bono, which works with Haitians and Dominicans of Haitian descent. An informal survey of the centre’s users showed that some 200 buses per day have been leaving Santo Domingo for the border with people going back to Haiti for the past week. But people born in the Dominican Republic to undocumented migrants say they have no reason to leave. For decades, the Dominican Republic recognized the children of Haitian migrants born in the country as Dominican citizens but they were rendered stateless by a 2013 ruling of the Dominican constitutional court and now risk being deported to a country where they have no citizenship or familial bonds. Elena Lorac, 26, is one of the lucky ones. Lorac, who is studying to become a social worker, was born in the Domincan Republic of Haitian parents, but only received her identity card on Monday. 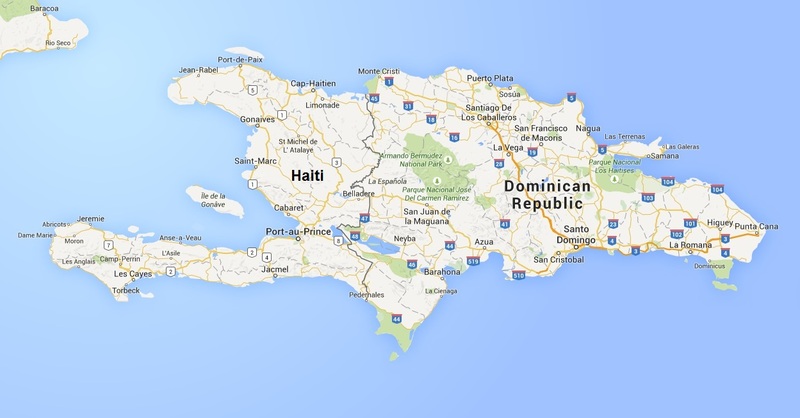 On Friday the UN High Commission for Refugees urged Dominican authorities not to deport Dominicans of Haitian descent. “With a stateless population in the Dominican Republic estimated at more than 200,000 people, the consequences of expulsion could be devastating,” a UNHCR spokesman, Adrian Edwards, told a press briefing in Geneva. “It is of the utmost importance that the Dominican Republic takes necessary action to prevent any expulsions of stateless Dominicans because of the human rights implications and to avoid creating a new refugee situation,” the UNHCR said in a statement. The interior and police minister, José Ramón Fadul, responded that the Dominican Republic “would not accept interference” on the matter and denied that there were refugees in the country. The government on Friday announced the composition of the committee responsible for coordinating the reception of returnees. This committee is composed of members of civil society and members of the government. Meanwhile, Haitian migrants continue to flee in masses from the Dominican Republic and to return home before the outbreak of deportation operations.